First of all thank you to all the amazon and Good Reads reviewers - this book is getting possibly the best reviews of my career from ordinary readers and I'm pretty excited about that. Thank you all. ...Duffy is more introspective here, and while the Troubles trilogy featured strong characterization, series fans will appreciate the further insight into the fallout from tragic cases, department politics, and war. As usual, there’s plenty of funny and entertaining territorial battling between the dizzying array of law-enforcement agencies acting in Belfast, and Duffy’s investigative skills seem somehow sharpened by his lost hope. ...Gun Street Girl is another superb satire of its time and place. ...Duffy is a brilliant character and there must be plenty of unresolved crimes, even in a backwater like Carrickfergus, for him to tackle and for Adrian McKinty to turn into further gripping episodes of this terrific series. This is so good!....There’s a realistic undercurrent of sour humour in this story of a man who has reached a turning point in a troubled land. But more than that, it’s a hugely entertaining and riveting book, with real elements of the times expertly woven into the storyline to give a gritty flavour of life seen through the eyes of an RUC officer on the line.It’s also the most enjoyable book I’ve read in a long time. Highly recommended. Buy it or borrow it, put it on your MBR list (must be read). ...Full of McKinty’s wickedly black humour and brilliantly plotted this just maybe the best book in an exceptional series so far. Sean Duffy has come a long way from The Cold, Cold Ground but it is starting to leave its scars. I was reluctantly happy to see the series finish after three books but I think there is possibly a little more life in this awesome series to come. At least I hope so! 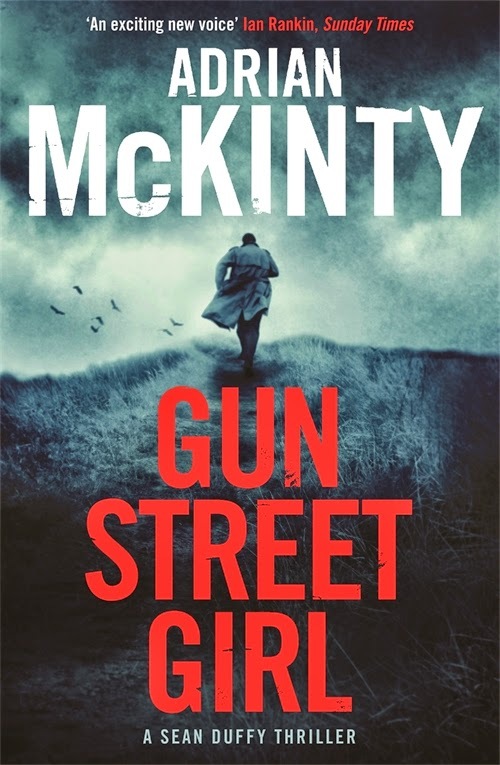 My first read of 2015 is Gun Street Girl by @adrianmckinty - early copy; think it's published next week. Reliably great.